Safe Havens: Three new schools provide an alternative to the fortress approach to security. Outline the crime-deterrent principles of CPTED. Explain how the designers of the new Sandy Hook Elementary School made its security features inconspicuous. Discuss how schools can be designed to mitigate the impact of natural disasters, including tornadoes and floods. 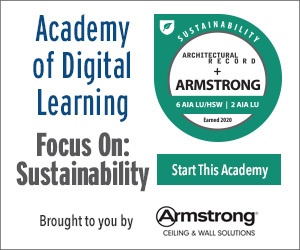 Describe the role that biophilic design can play in making schools feel safer for students. To enter the new Sandy Hook Elementary School, people must cross one of three pedestrian bridges that span a rain garden (top). 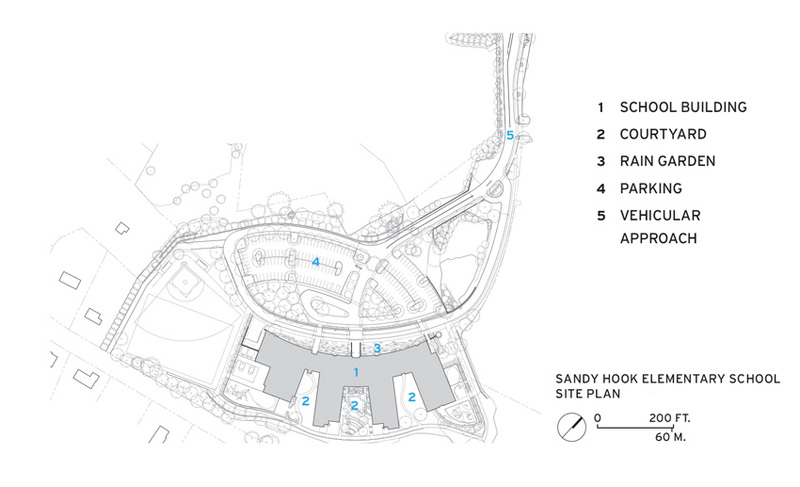 The Sandy Hook design team’s first step in providing for natural surveillance was to set the building toward the rear of its site, so that anyone approaching the school can be observed from a distance. Windows, which in a fortress mentality would be considered a vulnerability, become an asset. 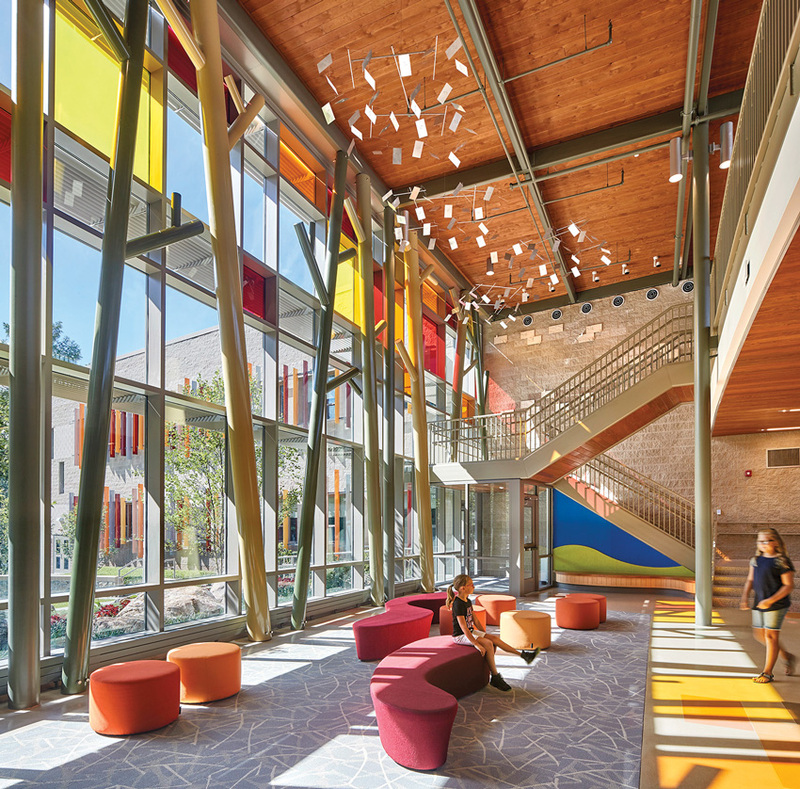 Inside, a two-story glazed entrance lobby provides views into one of three semi-enclosed courtyards where children play and learn outdoors. Inverting the concept of natural surveillance in order to deprive an intruder of an advantage, classroom windows and doors are located so that occupants can shelter unseen by someone in the corridor. At Sandy Hook, two-story glazed entry lobbies (bottom) look out onto semi-enclosed courtyards where children can play and learn outdoors (top).